It seems like only yesterday that we opened up Sidepodcast's 2010 Character Cup, pitting 24 drivers against each other for your votes. Time has flown and already we have crowned our winner, but how did he get there and what challenges did he face along the way? This is the story of the numbers behind the Character Cup winner - Karun Chandhok. Plenty of people predicted that Chandhok would be the winner of the cup this year, and with his constant presence towards the top of Christine's Rankings, it's clear he's doing his best to open up to the fans. Even so, his route to the top, and the great matchups, close calls and interesting voting we saw made it a fantastic journey to watch unfold. 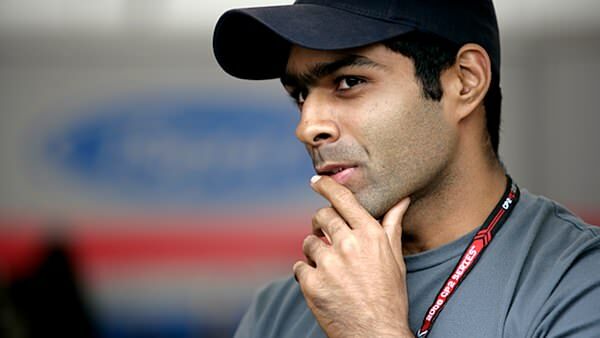 Chandhok's campaign began with the best possible start, overshadowing Jarno Trulli with 26 votes to the Indian's 190. This may or may not have been to do with a certain grumpy Italian's refusal to sign autographs at various occasions, but it meant Karun was through to the second round easily. Webber was his next stop, and the Australian certainly put up more of a fight. He was still no match for Chandhok though, and it was through to the semi-finals. Kovalainen was his last barrier before the final, and as you would expect, Heikki was his closest competition to date - but even the likeable Finn couldn't stop the Hispania driver from making it to the final. Facing off Rubens Barrichello and his very own teammate in Bruno Senna, Chandhok took a comfortable win for the 2010 Character Cup title. There were a few battles that were surprisingly close, starting off with the very first matchup of the entire competition. Defending Cup champion Fernando Alonso faced off the up-until-now pretty quiet Vitaly Petrov, and it was neck and neck throughout the voting period. Petrov just pipped Fernando to make it to round two. In the second round, Brazilian's Felipe Massa and Bruno Senna went head to head and it was another close battle, with a breathtakingly tight finish - just one point separating the pair of them. Senna moved on to the semi-final, where he faced Lewis Hamilton in another tight race for the win. In the end, it was just four points that saw the rookie move through to the final. It wasn't all smooth sailing as far as the voting was concerned, and we had to undertake a couple of post-poll investigations in our best FIA stewards style. I think we actually did better than them, to be honest. A run of suspicious voting in the run-up to the finish of the Alguersuari/Senna battle saw the Spaniard's win rescinded as rogue votes were deducted. Similarly, some over-eager Russian fans tried to prompt Petrov on his way to the final, but we were not to be fooled, and the rightful three made it to the end. Last year we had total votes of 1,665 and we were stunned by this number, it was more than we could ever have expected. Imagine our surprise to find that this year we have just shy of 5,000 votes with a total cast of 4,921. Amazing voting by everyone. The lowest voted poll last year involved Nico Rosberg and Nelson Piquet. This year, the new Mercedes driver features again, with his matchup against Timo Glock in the first round picking up only 132 votes. It was also a close one, with just six separating them by the time the poll closed. The highest voted poll though actually falls to two matchups - the competition opener between Alonso and Petrov, and the epic finale - both with 343 votes. The closest vote was, as previously mentioned, between Senna and Massa, compared to last year when Vettel managed to see two of his heats separated by the one vote. Meanwhile, the largest split was the battle between Trulli and Chandhok - a sure sign that Karun was onto a winner. Thank you to each and every person who took the time and effort to cast a vote. It seemed as though the decisions this year were a lot harder than in 2009, which must be a good sign that the drivers are opening up and allowing their character shine through - for better or worse. Already, I can't wait for the 2011 Character Cup.